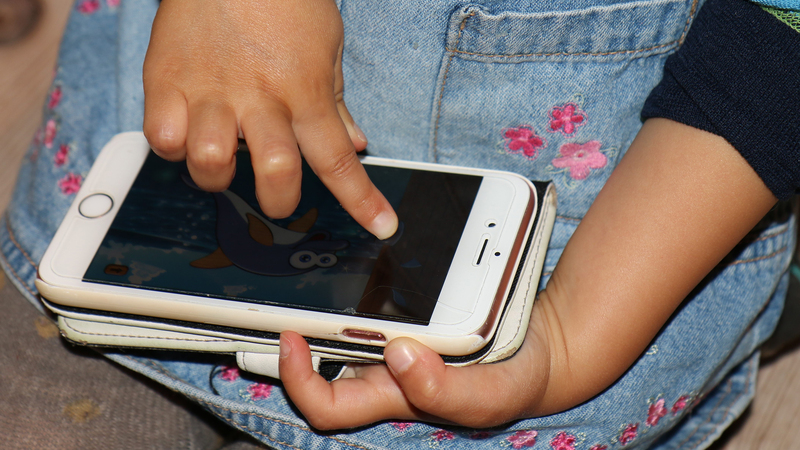 These days, it seems like kids, even very young kids, are as attached to their screens as their parents are – and researchers are worried about the long-term effects of using these potentially addictive devices as electronic babysitters. But in an age where smart tech is ubiquitous, parents are pinched for time, and screens are increasingly integrated into classrooms, is keeping kids off of screens realistic or desirable? And how much is too much, anyway? You’re an education correspondent for NPR, but this is an issue you confess to struggling with as much as anyone. Why do we have such a hard time with this? Is this a worldwide phenomenon? It’s absolutely global. Smartphones have hit us and we’re still very naïve to the effects. The more wired the country is, the more worried they are about it. South Korea and Japan are ahead of us in how nervous they are about this. Taiwan banned screens for children under 2, France banned screens from schools. But the new rules say the real thing you need to avoid is young kids alone on screens – you want to share that time with them and help them understand what they’re seeing. Why not just raise kids without screens altogether? It’s a constant drumbeat. You look at Pinterest and there are all these memes about going into forest, meditating, yoga, people daydream about this world where they’re completely unplugged and it’s wonderful if you choose that, you can choose that in small amounts, but most of us have to work for a living and it’s hard to conceive of a world where you can completely unplug. You should reclaim your time but it has to go into the context of the economic pressure people face and how to cope with this onslaught of being on call all the time. You might choose a career that lets you have a flexible schedule, but that comes at a cost of being connected all the time. I’ve had conversations with parents who say “my son just has a flip phone and I don’t care if he’s angry, I’m the boss” and that’s great if it works for them, but it’s not a prescription, not every parent is up to making that kind of rule. There is obviously empirical cause for concern, but do you think a lot of this is just a panic? The moral panic is so repetitive -- if you’re old enough to remember the panic over rap lyrics, you’re remember that it was always about children – children are always the most vulnerable. So I think we do have to look for the empirical evidence. We shouldn’t be worried about screens causing invisible damage, we should be looking for the red flags, like problems with weight, sleep, mood, over involvement with media, and making decisions about our own using that information. You devoted an entire chapter to gender and class distinctions when it comes to screen time – why? The judgments we make about what makes a good parent are so wrapped in this hangover about what it means to have women working. You can’t expect the anxiety people have about doing these [parenting] things right to go away. Particularly the story about the woman who is on her phone [while her child is on the playground] – I felt very judged by that story. The phone allows us to be in two places at once. You have to tease apart the different factors in these judgments. Yes, distracted parenting is not our best parenting, but at the same time, the emotion and vehemence we use to knock people down for it comes from someplace else that does not have to do with technology. Do you think that device manufacturers have a responsibility to make tech less addictive? There’s absolutely a share of responsibility here on the part of the manufacturers. The more that I learned about context of issue, the more I saw parallels with other industries that have been reined in by legislation, culture campaigns. Like Mothers Against Drunk Driving – there was a variety of things that happened, legislation, public awareness campaigns, that operated on people’s minds to make them think that there’s a different way of viewing this, it can have consequence, I should do things differently. So we’re not going to go backwards, the screens aren’t going away, but they could be changed to be safer. I think they could have tools available in the platforms themselves. Right now parents are using all kinds of workarounds, so we’re doing our best but it would be great if there was a switch you could click that says, I want it to be used in these times and in these ways. The campaign that’s going on now, they’re pointing out that the social media companies have a hard time with their business models because they’re always trying to keep you on the device longer, but the manufacturers don’t care as much as long as you’re buying a new phone. They’d rather you don’t run down the battery, so potentially, there could be a phone that is a minimalist phone. It’s like a car– just like we have antilock brakes or tethers for car seat, you still enjoy driving just as much but it makes it much safer. We found plenty of kiddie-approved potty training material on YouTube: a catchy ditty about washing your hands from PBS’s Daniel Tiger’s Neighborhood; a nice instructional skit from Elmo; a hyperenthusiastic Japanese-speaking panda. Then one day, I happened to click on a five-minute cartoon. It was called “Potty Training.” It had mil- lions of views. The terrified little girl inside me asks: How worried should we re- ally be about kids and tech? Where is all of this heading? And what should we actually do about it—now, in the “real world,” a phrase that as of the early twenty-first century still has some meaning? According to a Pew survey in 2015, almost half of parents of school- aged kids say that their children spend too much time with screens. On average, children in the United States spend as much time daily with electronic media as on any other waking activity—including school. As parents, we find ourselves without traditions or folk wisdom— or, crucially, enough relevant scientific evidence—in answering that question. Traditional authorities, covering for real gaps in knowledge, fall back on tired tropes. But today’s devices are mobile, meaning we’re bringing them every- where all the time, and they have touchscreens, making their interfaces intuitive even for infants. These two new aspects have intensified existing anxieties about the influence of older media like television and video games, with their power to lull, to obsess us, to “overstimulate or… inappropriately stimulate developing brains,” in the words of pediatrician Dimitri Christakis, and to transmit messages to our children in our homes that are out of our control as parents. Anya Kamenetz is an education correspondent for NPR. This is an adapted excerpt from The Art of Screen Time: How Your Family Can Balance Digital Media and Real Life by Anya Kamenetz. Copyright © 2018. Available from PublicAffairs, an imprint of Perseus Books, LLC, a subsidiary of Hachette Book Group, Inc.
Jan. 31: The Chicago Sun-Times suspends Richard Roeper for allegedly buying social media followers. What exactly is a Twitter bot? Jan. 15: After a public call for Apple to make its smartphones less habit-forming, we take a look at internet addiction in a digital age.